It's that time of year again - garden fever is gripping me and seeds are being sown. I started tomatoes, peppers, and eggplants in greenhouse boxes (upcycled lettuce bins) back in February. Yeah, when it's cold and snowy I plant seeds, totally makes sense. 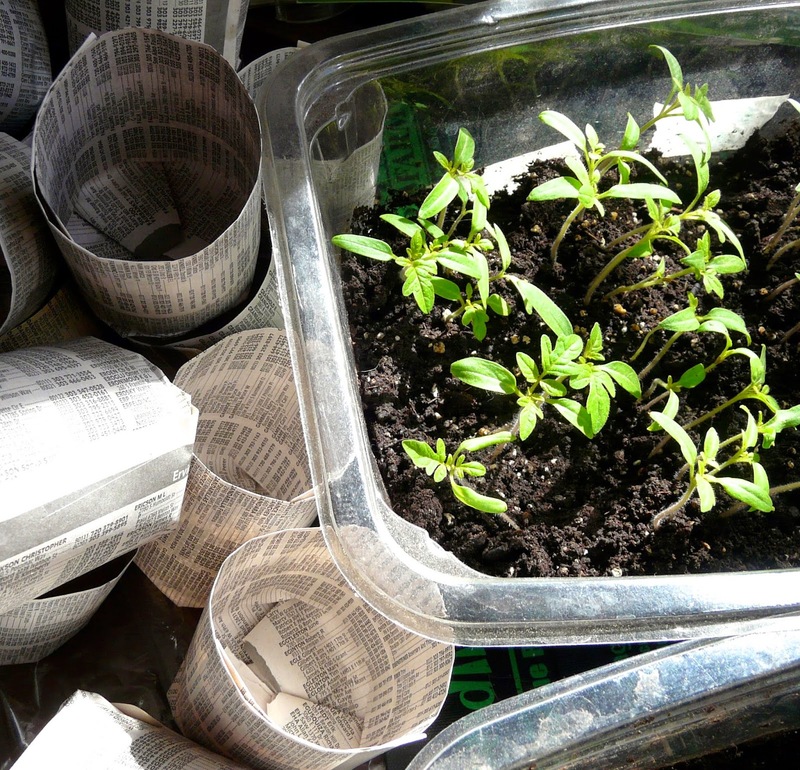 I'm preparing to transplant into little paper pots (see my how-to about it here), and very soon they will be clamoring to go out into the ground! 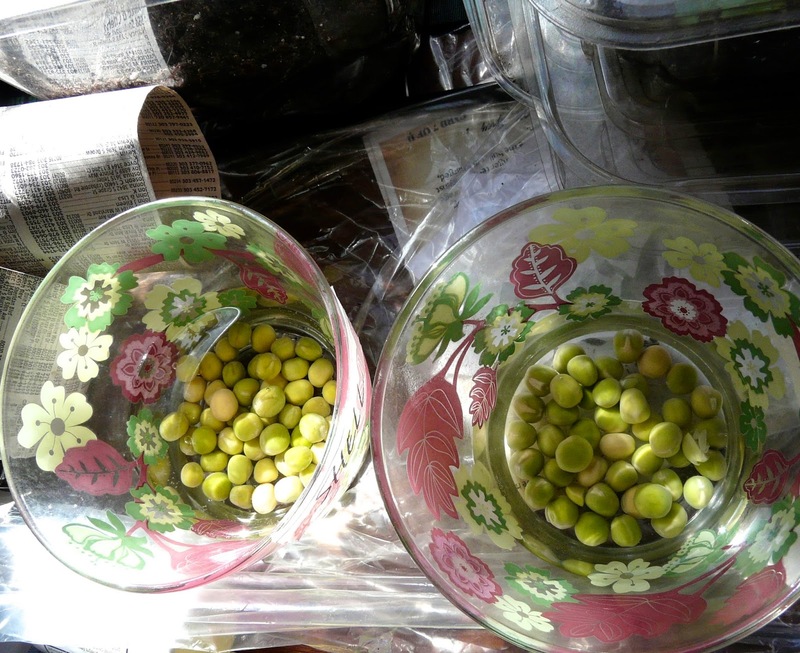 Of course, as family tradition dictates, the peas were planted on St. Patty's. As were radishes and carrots. All plants that can stand a snowfall or two, which we will certainly have before summer is fully here. And in the herb beds, new leaves are appearing. 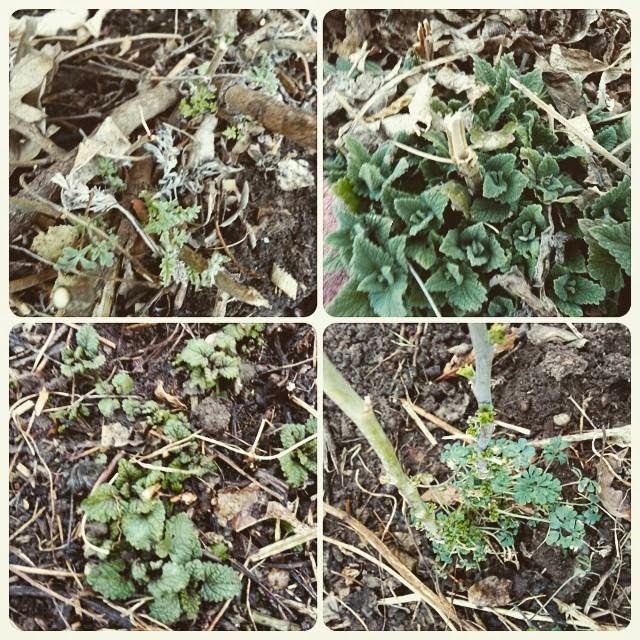 Last winter it never became harsh enough to force many of my perennials into dormancy. This year most of them lost all leaves, had stems broken off, and generally disappeared into the ground. I'm waiting anxiously to see if they all return! It's the season for preparation, what are you doing in your garden?